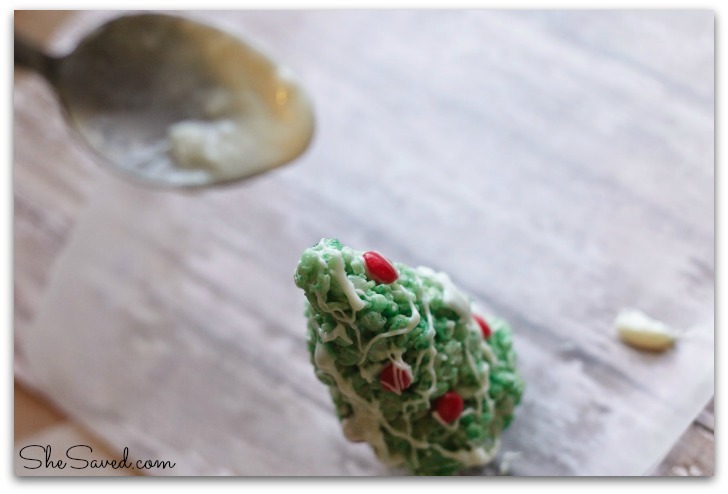 This Rice Krispie Tree recipe is fun and edible gift that makes a sweet little treat for teachers, neighbors and they look wonderful as the centerpiece on a tray of Christmas cookies! Skip the boring old Rice Krispie squares and make something more festive this year (but we still use their basic recipe, of course — its pretty hard to beat!). 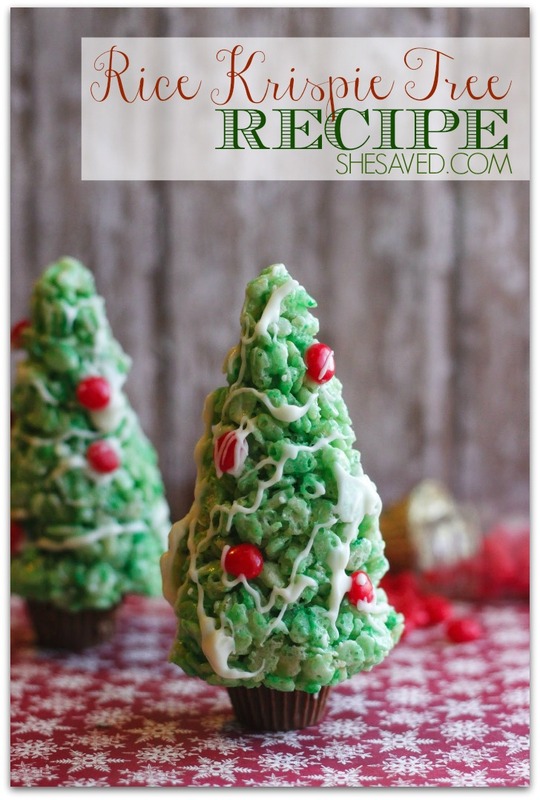 The kids would love to be part of making this from molding the trees to decorating. 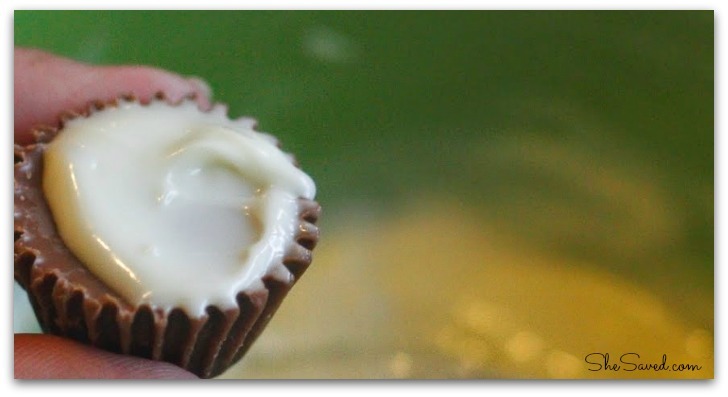 Melt butter and marshmallow over medium heat untill completely melted. 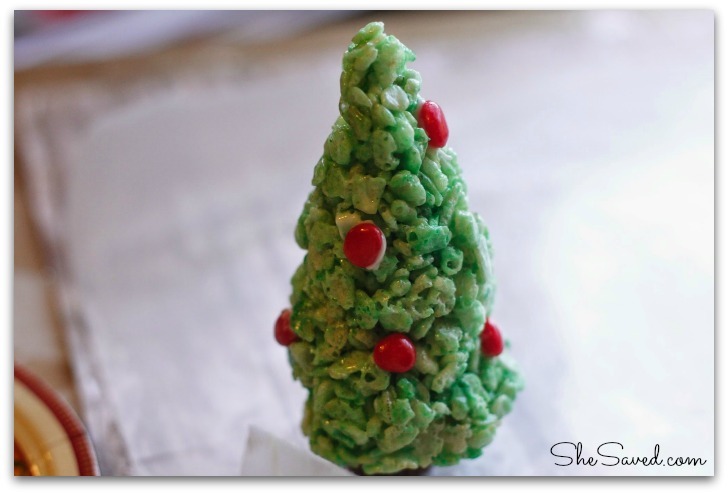 Remove from heat- quickly stir in food coloring and rice krispies until mixed well. Allow to sit for 5-10 minutes to set up. Melt chocoate chips in the microwave in 30 second increments, stir each time, until fully melted and smooth. Spoon a small dab to cover the wider end of peanut butter cup and press tree on top. Drizzle white chocolate all over tree to resemble snow. 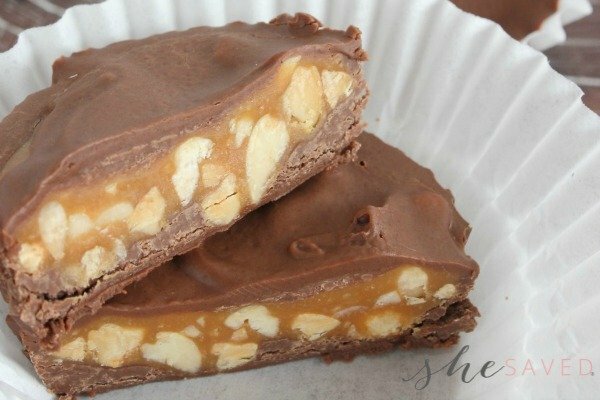 While chocolate is still wet press small candies into it and rice krispies to give it a secure hold. Allow chocolate to set up, rewrap your trees in plastic wrap or slip them in a cute treat bag. Enjoy! 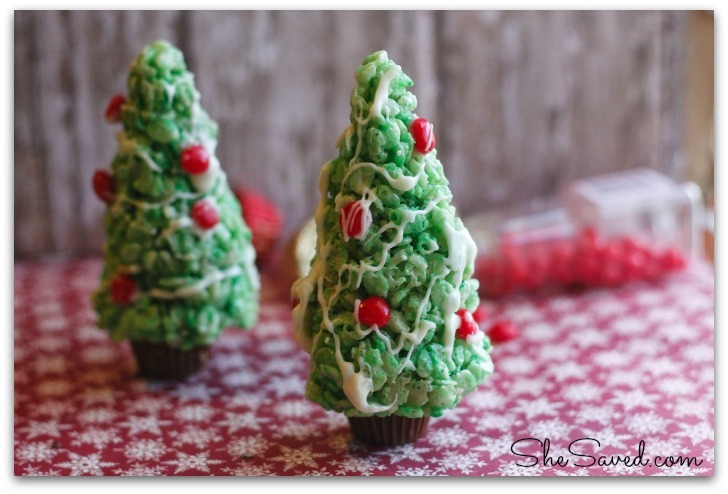 Looking for other Christmas cookie ideas that will compliment these? 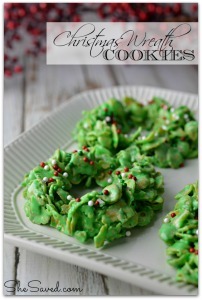 I recently shared my Christmas Cornflake Wreath Cookies which are another wonderful (and easy!) 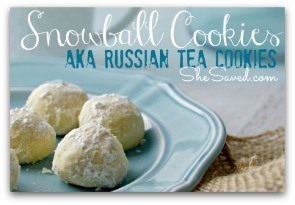 recipe to compliment these truffles and then also make sure to check out my Snowball Cookie recipe as they would look lovely on a plate with these wreath cookies! 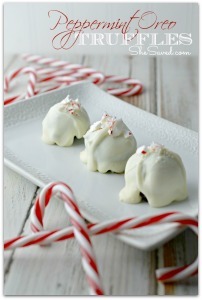 OR … what about my delicious Peppermint Orea Truffles? 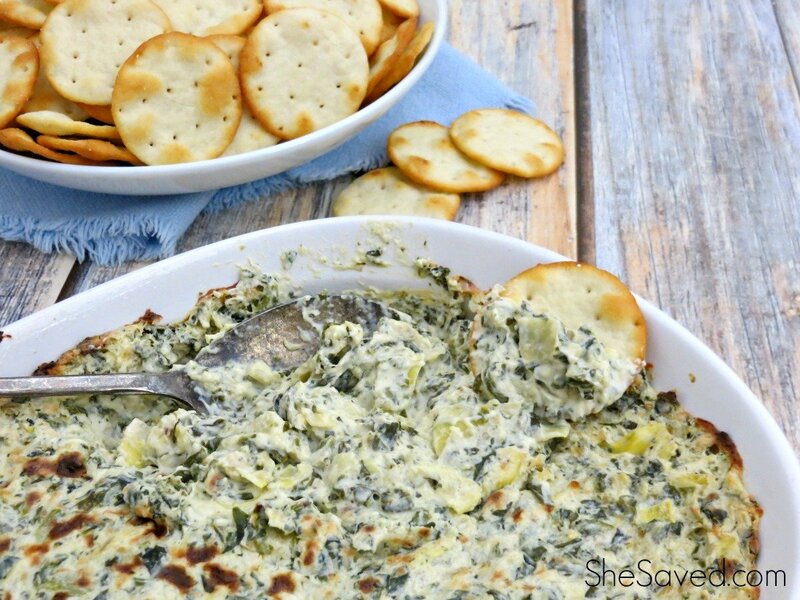 They are always a big hit as well! These are absolutely adorable! What a fun and festive treat! These are so cute. I need treat ideas and this would be great. These are the cutest! I know my kids will have a blast making them. Pinned!